There no mony faimlies in Scotland wi sic a pruid history as the Grahams. The faimly can trace theirsels richt back tae the Wallace in the 1200s. They’ve popped up ilka century or so daein either something kenspeckle an historic, or just cutting aboot alangside the great an the guid o the dey. Ane o the Graham faimly palled aboot wi big Rabbie Burns, fir example, wi Burns screivin ‘First Epistle to Robert Graham of Fintry Esq’ fir him. A Graham wha marriet baith the tradition o bein in wi the influencers o his dey, whilst also changing the warld in his ain richt, wis the great R B Cunningham Graham, whiles also kent by his by-nemme Don Roberto. This kenspeckle figure is getting a weel-deservit radio series exploring his bauld adventures aa owre the globe in his younger years afore delvin intae his political life as baith foonder o the Naitional pairty, precursor tae the SNP, as weel as advocate o closing doon the Hoose o Lairds. Billy Kay, producer an presenter o the series haes a lang history producin quality braidcasts that highlight unsung heros fae Scottish history, or ignored pairts o oor heritage and culture. They are aye weel-telt tales an worth a listen. This 5 pairt series is nae different. Alistair Heather sat doon wi Billy this week tae hear mair. The series follaes him back tae Britain, tae his proclamation o bein the first socialist MP at Westminster then bein the Honorary President o the Scottish Naitional Pairty in 1934 just afore he deid. Ilka episode haes chunks o material that baith unravel some o the mystery o the man as weel’s gie gleg insights intae the changing warl o the later nineteenth an early twentieth centuries. There’s a new brent-new episode that leads intae this refreshed series, featuring mony varied voices that strive tae sum up the great man. Ane o the stories that staun-oot is that o his adventures in Argentina. He went owre originally as a teenager tae get hissel wark experience on the ferm o the Ogilvies – thon doyens o the Scottish east coast. But he fund that the faimly there had turnt tae the drink, an the young lad got hissel carriet awa insteid on the shouders o a revolutionary airmy. He jyned up wi the Goucho, a group o cowboys that warked the grand expanses o the Pampas, the great plains o Sooth America. This group hae aa the mystique o the cowboys o the auld American frontier further north, an amangst their mythologists an fans the day, R B Cunningham Graham hauds a special place in their history. Thanks tae him, their story is gied an international, romantic flavour. That a Scottish aristocrat could sae easy be caught up an spend mony happy times wi them is as much their story as oors, an they haud on tae it till the day. They cried him Don Roberto, and there’s a scuil nemmed efter him there. When Graham deid, the President o Argentina led the tributes, sic wis his lasting fame. For aa that the story of Don Roberto became an Argentine fable, Graham equally took the stories an the lives o the fowk o the Americas as his ain. Their cause wis his cause, and their experiences shaped his ootlook an his politics baith. “He was aware o revolution politics, o the landowner haudin doon the tenant, an haudin doon the native people. He cared aboot warkin men, an cam tae unnerstaun them. This added tae his unnerstaunin o the warld, a perspective he brought back tae Scotland. When he got hame, he stood for the miners, an the warkin people o Scotland. “Him an Keir Hardie set up the Labour Pairty thegither. Graham got sterted doon in Westminster as an MP, but quickly became disillusioned wi it. He cried it ‘an asylum fir incapables’. The life o R. B. Cunninghame Graham wis colourfu an varied, sae ilka episode o this new series by Billy Kay pops wi fascinatin sketches o the man, interestin backgrun tae his life an a wheen gey knowledgable voices tae gie insichts intae the birlin warld o the 19th an 20th centuries. Don Roberto a five–pairt series sterts on February 20th at 1.30pm, an is available fir 30 deys efter braidcast on the iPlayer. Like most people I speak Scots but I do not like to read it. because of the different regional idioms it is difficult to write in a way that is easily understood by everyone. If we taught it in school and standardised both the spelling and pronunciation that would not do either. Those from Ayrshire have difficulty with the speech from Aberdeenshire and Dundee is different again. Like most Scots I was bilingual in Glasgow Scots and English as a child; I went to work in London for a while and had to speak Estuarial English to avoid ridicule; after a while saw the light and came home. I now speak with a mild Glasgow accent and routinely use the words I learned in the playground; I will not change again for anybody. 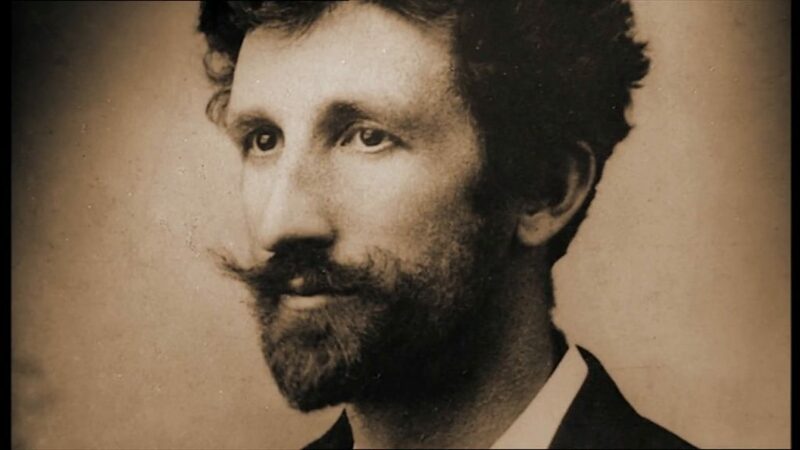 And Yes, Don Roberto was an absolute hero in his time. Dougie totally ditto from me on everything you say, almost uncanny parallels of our respective stories. Don Roberto was indeed a heroic figure. The ‘rediscovery’ of his reputation will, hopefully establish him as a hero of our time also. Almost everything he wrote or spoke on remains largely relevant to our current issues, challenges and hopes. BTW I don’t see it as clear in the piece, so maybe helpful to clarify that the series is on BBC Radio Scotland, starts this Tuesday, 20th February 2018 at 13.30 hrs. I fear that progress will not be made in winning acceptance for Scots as a modern European language until the Scots language movement finally bites the bullet and accepts the need for a standard Scots orthography. How can a language be taught in schools if there is no agreement on how its words should be spelled? Thon’s nae raison tae haud doon oor langage an oor verra cultur Graeme. Oor langage is wha we are, oor thochts, and whit we dae an hou we date it an shoud bi respectit, an aw Scots bairns an fowk shoud lairn thair mither tung as in maist ither kintra’s. English is merely our administrative language in Scotland, much like many other ex British colonies, many of which have since enshrined their indigenous languages in law since decolonisation (e.g. Singapore maintains three indigenous languages). Many European nations teach their bairns their indigenous languages AND English (e.g. Netherlands, Finland, etc). This ensures cultures can continue. Scotland should do the same, otherwise our culture will continue to be diminished until eventually it will not exist. I ken whaur ye’re comin fae. But Scots is taucht aa owre the country the noo. Arbroath, Mintlaw, Fawkirk, Embra, Dundee, Banff. They are aa producing braw young screivers at baith primary an high-scuil levels. The noo ye hae tae teach bairns that Scots has flexibility wi its spelling. Its orthography is gey consistent an maist wark will use similar or identical vocabulary an grammar, but there is aye a chance o twa screivers spelling the ae wird differently. Or, as I’ve done masel, ae screiver usin twa spellings fir the ae wird owre a period o time. Scots is aaready a modern European Leid, an doesnae need a stannart, nor onythin else, tae mak it mair official. I’d like tae see a mair stannart orthography like. Lets wait an see. Ane will surely emerge owre the next twenty year, as the nummer o Scots warks proliferate. But why do bairns have to be taught that Scots has ‘flexibility’ with its spelling? That, it seems to me, is an ideological, not a linguistic position. What is the basis of the curious exceptionalism the Scots language movement insists upon when it comes to orthography? As long as Scots language hobbyists prefer to remain in the comforting seclusion of their ain private Pitsligos, Scots will remain in a state of arrested development. “will remain in a state of arrested development.” That’s the objective. Keep Scots marginalised and irrelevant. We certainly don’t want it to become a ubiquitous alternative to the hegemony of the Queen’s English. Think about it. What would be an ideal scenario; should we all speak the one version of Scots; absolutely not. When it comes to written Scots there is not, and never will, be a written version that is clearly understandable to all the various versions of Scots Speakers. I have great difficulty in understanding the spoken Scots from rural Aberdeenshire. They are not wrong I just cannot easily understand them. I can get into a strong Glasgow conversation and it will pass these same Aberdeenshire people by. It’s not that they cannot understand individual words but the speed of diction with unfamiliar words is too much for the different speakers of different Scots accents. Try to put Rural Aberdeenshire on to paper and I will still not understand it. The easy bit is the “loons” and “quines” but after that I’m lost. I lived in Ayrshire and initially struggled with Heuk (sickle) and shuche (ditch) (probably spelled wrongly) among many other local words when they spoke. Thaim that wants tae haud Scots back wis sayin juist that saxty year syne, and thay wis sayin it fowerty year syne, and twinty year syne. And in twinty year thay’ll aye still be threapin thon auld rame. A staundart Scots orthography is nae mair likely tae emerge by fowk constantly rearrangin Scots ony mair than a sports caur will emerge frae rearrangin the pile o scrap in ma gairden. A teachable pan-dialect orthography, like a sports caur, haes tae be designt by fowk that kens whit thay’re daein and then be built by fowk that kens whit thair daein. Like a Sports caur, fowk syne needs tae be teached hou tae drive it, in the case o Scots orthography, teached hou tae uise it. A dout you’re no in a poseetion tae wirk in ony o thae capacities. Totally agree. As it stands it just looks phonetic. The ability to roll one’s ‘r’ is arguably a major linguistic advantage for natural Scots speakers, as is the ability to sound ‘ch’ properly. Listening to so-called ‘proper’ English speakers torturing themselves phonetically is hardly something to recommend. ye’re no alane. According tae Scottish government figures, aboot 85% o fowk in the North-East o Scotland (Fae the Tay tae the Moray Firth) spik a bit Scots maist days. Ainly 27% o fowk in the same region can read it. Similar figures fir the Borders, Ayrshire etc. Scots spikkers are, sadly, are gey aft illiterate in their ain tongue. Aa Scots scrievers, masel includit, hae tae fin a wye tae pit Scots doon on the page that can be approachable tae aabdy. Its nae aye easy an certainly we’ll pit aff as many fowk as we bring in. In addition tae daein journalism an screivin airticles in Scots I dae a load o wark wi scuils, businesses an tourism operators tae gie Scots a bigger place in oor society. I’m ettlin tae mak it sae the next generation o Scot spikkers are as comfortable wi the written leid as they are wi crackin in it. As fir yersel, haud forrit. I’ll keep screivin Scots airticles an hopefully fowk like yersel will keep reading them. It’ll get easier ilka time ye dae it. It’s a hell o a chyave, I ken, tae pick up new spellings o wirds ye’ve kent in yer heid aa yer days, but stick wi it. Ony staundardisation wad juist be tae the orthography; no the wey it’s spoken. Ye’d basically hae ae spellin for a gien wird, an we’d aw read it in our ain dialect. Tak ‘abuin’ (‘above’ in English) as an ensaumple. Ae spellin (‘abuin’) that can be pronounced ‘abön’, ‘abün’, ‘abin’, ‘abain’ or ‘abeen’, dependin on whaur ye’re frae. Símilar wi ‘guid’: ‘gid’, ‘gyid’, ‘göd’, ‘gweed’. Or ‘ower’: ‘our’, ‘oar’, ‘oor’, ‘err’. For a wheen wirds that dinna faw sae easy intae the ae spellin, ye’d juist spell it different, e.g. ‘fae’ vs ‘frae’, or ‘wha’ vs ‘fa’; but ye micht want tae decide on ane o thaim for expository, transactional ettles. Which is pretty much how it works for all modern languages. There’s a standard written form and people think and speak in their own dialect. The object of the standard orthography is to facilitate written communication. Language is not an act of nostalgia or personal gratification. The issue for the Scots language movement is whether Scots should be a modern European language with its own agreed orthography or simply a constellation of contermacious dialects. It seems to have plumped for the latter. Future generations may come to regret that. Hugh MacDiarmid certainly had definite views on the matter. Fair bit of chat in broad English about how we should write in Scots. Deid richt, Ally. Aw thay soor-face’t creetics o Scots langage winna haurdly pit a picklie o wirds thegither in Scots. Aye, you an aw Graeme! Thay’re juist no interestit in lairnin hou tae read an screed in Scots. Thon’s nae bather tae efter a wee bittie study. A wid imaigine wee bairns in schuil wid bi fair awa lairnin Scots wirds alangside Englis wirds an thon wid mak for muckle betterment ower aw an mair unnderstaundin o wha we are an oor cultur. Mair pouer tae yer elbae, an aw ithers that wid taucht Scots tae Scots bairns an fowk. Cheap shot Ally – playing the man and not the ball. For an interesting account of the relationship between Joseph Conrad and Robert Cunninghame Graham, and the the latter’s influence on Nostromo, read Maya Jasanoff’s The Dawn Watch: Joseph Conrad in a Global World. Because of his Scottish nationalism, and criticism of the Labour Party’s timidity and lack of socialist zeal, Graham has been effectively written out of Labour Party history. A man far ahead of everyone else! The article generally follows the grammar, syntax and idiom of Standard English. Although the spellings are certainly not those of Standard English most of the words are written similar to their Standard English forms, and the words that are not will be known to anyone familiar with literary Scots, so the article should be easily understood by everyone familiar with written Standard English as it is wholly devoid of any Scots regional idioms. I daresay had Scotland ‘absorbed’ England in 1707 and forced the Scots language on all of England’s people, and meantime suppressed the English language by legally preventing it from being taught to any of England’s people, we might now be saying the opposite of what you maintain. Scots is commonly held (in academic/ linguistic study – if not political) as part of a continuem that is not confined to England or Scotland but stretches to the Humber and all derives from middle English as opposed to standard English. Friesan is the same. Using language as a political tool as opposed to celebrating differnce based on ‘messy’ overlapping culture is ‘blood and soil’ nationalism. I assume you refer to the persecution of indigenous languages and enforced nationalist language policies such as Russianization (e.g. in Ukraine, Poland, Baltic States etc), Anglicisation (e.g. in India, Scotland, Ireland, Wales, other colonies etc), Castilian/’Spanish’ (e.g. in Basque Country, Catalonia, Galicia, colonies etc) ? As ah said, in a post afore this, ye canny make Scots aw the same cos ther aw say diffent. Jist enjoy lisnen an gie up wi ritin it doon. Nah, Gaelic was awfy dialectical afore it stertit gettin it’s act thegither these last decades. Noo they hae a makie-uppie dialect they cry “middle minch” that they teach aabdy tae stert wi, a sortae conglomerate dialect. Then efter a few years learners ging aff an focus on ae dialect tae tak as their ain. ‘There no mony faimlies in Scotland wi sic a pruid history as the Grahams’? A frankly incredible claim that is either poorly researched or willfully myopic. The Graham family’s ‘pruid history’ of slave-ownership and slave-trading is freely available online. Robert Cunninghame Graham (Robert Bontine Cunninghame Graham’s great-great grandfather) was a slave-owner in Jamaica in the mid-1700s. See here: ‘Robert Cunninghame Graham’, Legacies of British Slave-ownership database, http://wwwdepts-live.ucl.ac.uk/lbs/person/view/-719617813 [accessed 17th February 2018]. Robert Bontine Cunninghame Graham wrote a biography of his g-g grandfather in ‘Doughty deeds: an account of the life of Robert Graham of Gartmore, poet & politician, 1735-1797’, (W. Heinemann, Ltd., 1925), although, as Michael Morris has recently argued in ‘Don Roberto on Doughty Deeds; or, Slavery and Family History in the Scottish Renaissance’ in (eds.) Carla Sassi and Silke Stroh, ‘EMPIRES AND REVOLUTIONS: Cunninghame Graham and His Contemporaries’ there were many absences regarding the family’s connections with slavery. The Gartmore estate was directly improved by capital derived from slavery, and Robert Bontine Cunninghame Graham owed much of his privileged status to a slave-fortune generated just two generations before. By ignoring this readily available information, the article here is straight out of the ‘It Wisnae Us’ school of Scottish history. I presume this is Dr Stephen Mullen of the University of Glasgow? I used to study under your colleague Andrew Mackillop at Aberdeen during my own history degree. I’m regretful that I did not include this brilliant information in the article itself. I would encourage any readers who come this far down to follow those links and follow the story for themselves. When writing these short pieces, I can generally only allow myself about 8 hours to research, write and edit them, more or less. This article required me to sit and listen to a few hours of Billy Kay’s radio programmes on Don Roberto, formulate questions, organise and conduct an interview with Billy Kay, work on a framework for an article then do some peripheral research to help give it roundness. I missed this slave connection. Had I seen it. I would have nuanced the introduction. The proud history I refer to is that of fighting alongside the Wallace etc. If you’d like to discuss this further please contact me on Alistair.heather@hotmail.com and we can see if some sort of response piece could be put together, or indeed a wholly separate piece on the Scottish slave owners of that time. Certainly neither myself nor Billy have any desire to sweep slave ownership under the carpet, or paint a misrepresentative image of Scotland’s past. Ouch Stephen. Uncomfortable bits, but facts are chiels that winna ding. An downa be disputed? The thing that baffles me about writing in Scots is grammar. Every language necessarily needs some structure and rule in order for it to be understood. Otherwise it isn’t a language and isn’t literate. Scots grammar is rooted in English grammar or identical (as opposed to German or Finnish or Welsh etc). If this is so why do Scots writers ignore the shared basic rules, so as to make the reading of Scots so problematic. This article misses declensions here and there. Uses the wrong tenses and so on. Why?